Since starting my new job at Cardiff, I’ve found I’ve been having the same conversation again and again, with a range of different colleagues. We talk about teaching, of course, and we talk about research. But one conversation I wasn’t anticipating finding so much widespread interest in is commuting. I’m commuting for this job, from Edinburgh (where I live) to Cardiff (where I work). I factored this into my decision to take the job; it’s for a fixed period, it’s relatively affordable, and I can just about make it, from office to front door, in 5 hours. So, a weekly round-trip of 600 or so miles, for me as a child-free, able-bodied person, isn’t that bad, all things considered. Relatively straight-forward though it is, I didn’t anticipate that many of my colleagues, especially those on open-ended contracts, would also be commuting. But actually, many of them commute from cities and towns an hour, two hours, or even three hours away. Most go by train, but one colleague has a five-hour drive twice a week. Two colleagues are even fellow Scotland to Wales commuters! Commuting has thus become a regular topic of conversation. I don’t think my department is unusual in having a few members of staff who commute. Academic jobs are few and far between and if you find the right one (and if you can travel) commuting is almost a given. When I googled the topic, hundreds of websites appeared, many written by academics seeking advice on whether to take the plunge and start commuting themselves. Balancing a work and home life that can be hundreds of miles apart is one of the biggest challenges of our profession, and is often unacknowledged (as a colleague recently said). People usually commute because they have a partner, children, or other family who live elsewhere and don’t want to be uprooted. Or it might just be that someone is settled in a particular place and doesn’t want to leave it. In fact, I think you’d be hard pressed to find an academic couple, especially if both are academics, who haven’t maintained a long-distance relationship at some point. It’s an issue far wider than just my institution – in an academic Facebook group recently dozens of people responded to someone who was considering commuting for work and was seeking advice. I’ve decided to take a reflective approach to my commute over the next year, and consider what I might learn from it. The commuting is (like the contract) temporary, and it’s a good opportunity to figure out if I could, or would keep doing a commute like this and for how long. For example, as many commented in that Facebook group, long-distance commuting gets a lot harder when there are kids involved (although not impossible). Equally, I’m hoping the commute will be a chance to get some work done, or to prioritise certain tasks that will help my overall productivity. This hasn’t happened quite yet, but I am writing this blog post in the lounge at Cardiff airport, so that’s something. So here are the things I have learned from my commute so far. 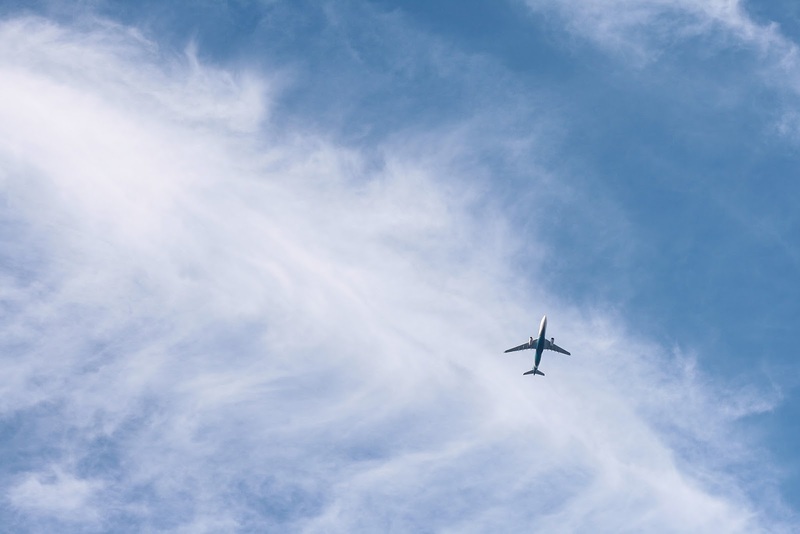 Some are personal realisations, others are more practical, and much of it might not be of interest to anyone but myself, in a year’s time, looking back on all the air miles, airport coffees, and flight safety demonstrations. You very quickly learn the schedule. The first few times I made the trip, I spent quite a bit of time double-checking the journey times, looking up bus routes, and feeling anxious about how various transport options fit together. Now, I know I what time to leave my office to get to the airport bus *just* as it’s about to leave. I know which incoming flight will be turned around to be my flight (and therefore how delayed it is going to be before the airport announces it). This undoubtedly means that I’ll start cutting things incredibly fine, but for now I feel as though I have all of the knowledge and none of the anxiety I had a few weeks ago. Podcasts are a life-saver. I’ve listened to podcasts for a few years now, but my consumption has hugely increased since I’ve started commuting. In the past month I’ve listened to: a whole series on the social and cultural history of container shipping; a mini-series on Charles Manson and late 1960s Hollywood; a bunch of episodes of In Our Time on various medieval religious topics (this one was explicitly work-related); as well as my regular selection from This American Life, The Moth, Radiolab and more. The airport bus wifi will never work. At this point, I have come to accept this as a fundamental truth of the commute. Airport wifi, on the other hand, is consistently excellent. Cardiff means work, and Edinburgh means not working. I’ve always tried to protect my weekends and evenings for spending time with friends and family. But, as we all know, sometimes things slide and you have to spend the weekend marking, or writing a grant application or syllabus. Now that I’m only home for 3 days each week, I feel the need to limit the work I’m doing to core hours (i.e. when everyone else is at work) and to spend the rest of the time doing all those other things we need to do in life (housework, cooking, going to IKEA, seeing friends). The result of this is that I strongly identify Cardiff with work (during the day, in the evening, on the commute), and this seems to end when I get home. This separation between work and home isn’t something I’ve felt this strongly before, and I’m interested to see if this is beneficial for my work/life balance. My activities are planned for ever. If you want to hang out with me at any point between now and next summer, I pretty much only have two free weekends remaining. I block-booked my flights a few months back in a bid to keep the cost down, and how it means I know where I’ll be (at least, in which city) for the next 8 months. I’m generally quite an organised person, but commuting has almost completely ended my ability to make spontaneous plans. The upside is that I now appear to be the most organised person during every planning conversation. So there you have it – reflections and reporting from the first month of cross-UK commuting. Here’s to the months to come.